The big news in Turkey in the last few days has been the jet krizi. 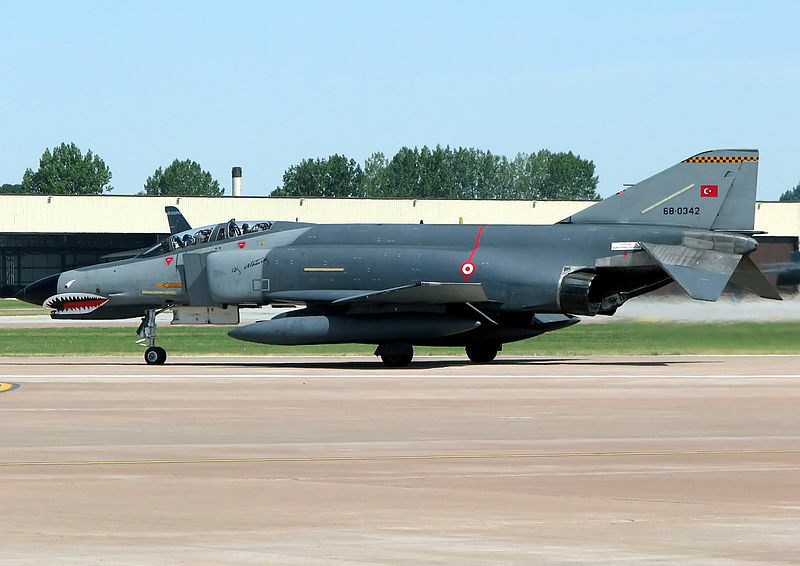 As far as the story goes, the only thing that everyone can agree on is that a Turkish F-4 Phantom was shot down somewhere close to Syria. Of course, the word on the street in Turkey is that it was the fault of “international Jewry,” the United States, or—as I heard from one ornery fellow—the French. The Turkish government said that all options against Syria were on the table, including the right to military retaliation, also vowing to keep its rights stemming from international law reserved. “Turkey will protect itself within international law,” Deputy Prime Minister Bülent Arınç said following a Cabinet meeting, adding that Syria’s downing of a Turkish jet could not be left unpunished. “Syria shot down our unarmed jet in a cold-blooded and hostile way in international airspace. International law is on our side. Turkey will not hesitate to take its steps to this end,” Arınç told reporters at a press conference. Syria has come to constitute a “clear and present danger” for Turkey, Prime Minister Recep Tayyip Erdoğan said, adding that all military elements approaching the Turkish border from Syria would be considered “a threat” from now on. The two crewmen are still missing.